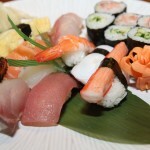 Japanese business in Mississauga is booming. Behind America and Germany, Japan has the third largest international corporate presence in the city of 700,000. In June, Mississauga mayor Hazel McCallion, 93, was given the Order of the Rising Sun in recognition for building strong relations between Canada and Japan. Currently in her final term after 36 years in office as mayor, McCallion has played a significant role in bringing international investors to Mississauga with over 75 Japanese companies that now call the city home. 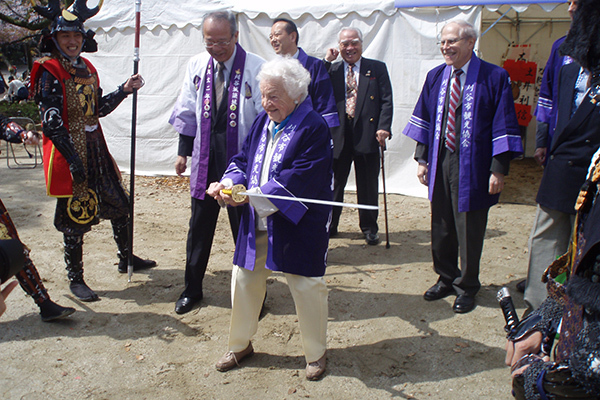 “When I look back on it, I just feel the Japanese business community in Mississauga has been part of life here in Mississauga and very much part of my life as mayor,” McCallion said. “They look after their employees and we value their contribution to our economic base and communities,” she said. Mississauga’s success in attracting Japanese business can be attributed to a number of reasons, according to Stephanie Dunbar, a global business consultant with Mississauga’s economic development office. The first reason being: the snowball effect. “Japanese businesses help bring in new Japanese business,” Dunbar said. She added that the Japanese business community helps act as ambassadors, sharing their experience in Mississauga with future investors in Japan who are thinking of expanding their companies into North America. A company you could call the nucleus of the snowball is Canon Inc., which opened their Canadian headquarters in Mississauga 34 years ago. Canon Inc., known mainly for their cameras, began 77 years ago in Tokyo where the company still holds its headquarters. The company expanded into Canada while the city was on the verge of business growth in 1984, only two years into McCallion’s first term as mayor. Canon Canada’s Mississauga office is responsible for sales, marketing and countrywide distribution of Canon Inc.’s products in Canada, according to company representative David McPherson. That means, Canon’s Mississauga location is the starting point for all the company’s advertisements you see and is responsible for putting the products they receive from Canon Inc. onto store shelves in Canada. To illustrate the hands on involvement of the Mississauga municipal government, in April, Mayor McCallion went to Japan to meet with potential investors, while also meeting with Canon Canada’s President and CEO Ted Egawa and Canon Inc.’s Chairman Fujio Mitarai in Toyko. “Canon has been proud to be part of the growth of the city’s business community,” McPherson said. Another reason outlined by Dunbar for Japanese businesses being drawn to Mississauga is its reputation as tax conscious city that encourages corporate involvement at a municipal level. The local government actively tries to attract more businesses, meaning more jobs and opportunities for its citizens. Last year, Mississauga’s economic development office helped create 3,800-4,300 new jobs and $4.5 million in present and retainable tax revenues from international businesses expanding into the city. One of those more recent members of the business community is SPP Canada Aircraft Inc., another Japanese company that now calls Mississauga home. Since day one, SPP Canada Aircraft Inc. has been a company that designs, develops and manufactures landing gear systems for jets and airplanes. It’s led by Vice President and COO, Masayuki Onishi. He described Mississauga as “an ideal” location when Sumitomo Precision Products Co., Ltd. – the company that owns SPP Canada Inc. – was looking to further assert and expand itself into the North American market. On April 1, 2012 the decision was finalized and Sumitomo Precision Products Co., Ltd. established SPP Canada Aircraft Inc.
Onishi said SPP Canada AirCraft Inc. chose Mississauga because of quick highway accessibility, the proximity to Toronto Pearson International Airport, and the reasonably priced land. 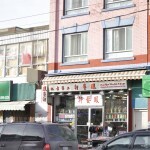 “We [our business] wanted to jump into the centre, which is the North American marketplace,” he said. He said Mayor McCallion and the municipal government of Mississauga have always provided great support and assistance to the private sector. “We have a great relationship with our municipal government,” Onishi said. SPP Canada Aircraft Inc. realizes that giving back to the Mississauga community is important. Since the company’s launch, they’ve held annual food drives for the homeless and toy drives for children during the holidays. “Community involvement is very important for our society, whenever we can give contributions, we do,” Onishi said. SPP Canada Aircraft Inc. employs 50 Canadians in Mississauga, along with 90 workers in Concord, Ont., who work for CFN Precision, another Aerospace manufacturer acquired by SPP Canada Aircraft Inc. in 2013. 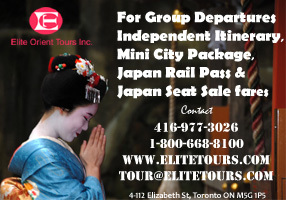 Looking forward, the municipality of Mississauga is seeking even more companies from Japan. 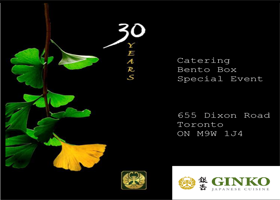 It’s highly likely that by the time Mayor McCallion retires there will be more Japanese businesses in the city than ever. This article was reprinted from Nikkei Voice’s Summer Issue. Subscribe or donate today to see articles like this in print! Featured image courtesy City of Mississauga: Mayor McCallion visits Kijo Park, Kariya in April 2014 during the Sakura Festival. Kariya is Mississauga’s sister city.